Little lady is almost 3 so this year we are talking a little more about the meaning of Christmas. To reinforce the idea of giving and helping during the holiday season I decided to make an advent calendar. I remember those cardboard ones when I was little, a piece of candy every day leading up to the big day. I loved those! But I thought I’d focus on fun activities we can do each day vs. just candy. I covered the board in fabric then added 4 strings of twine. 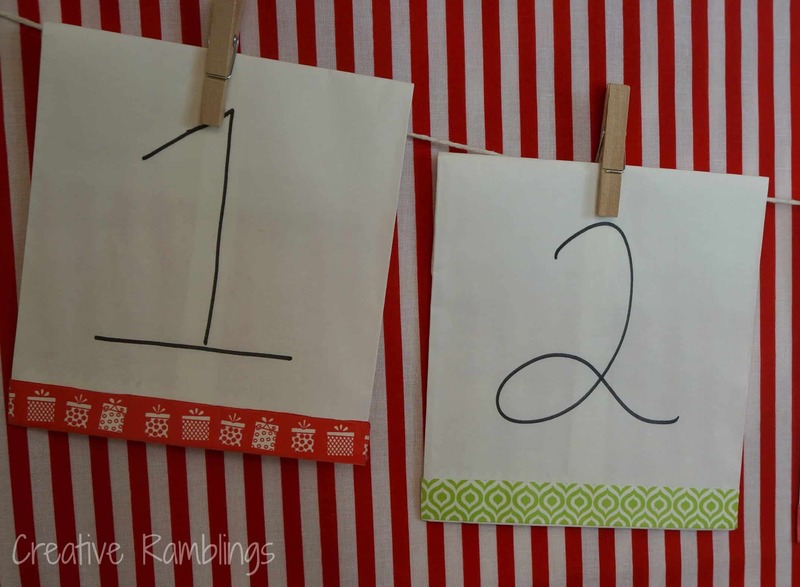 I numbered and decorated each bag then attached them to the twine on the board. 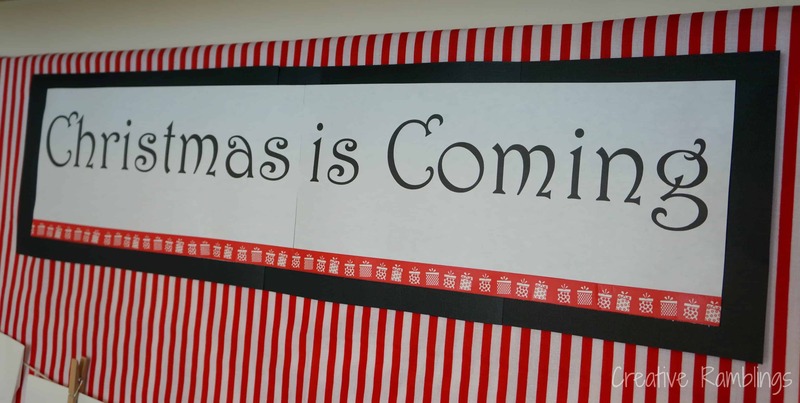 I added a simple “Christmas is Coming” title on top using the same decorations from the bags. In each bag I put an activity. I got some great ideas Money Saving Queen, I wanted to focus on fun activities that would help Little lady learn about giving and those who are less fortunate. I also want her to learn more about the Christian meaning behind Christmas. I did some planning with these cards. I looked at my calendar to make sure each activity was doable on the day it occurred so she wouldn’t have to wait. I also added a sticker, fruit snacks, or a sucker to each bag. Little Lady has been staring at this board, anxious to see what’s inside, she can’t wait! 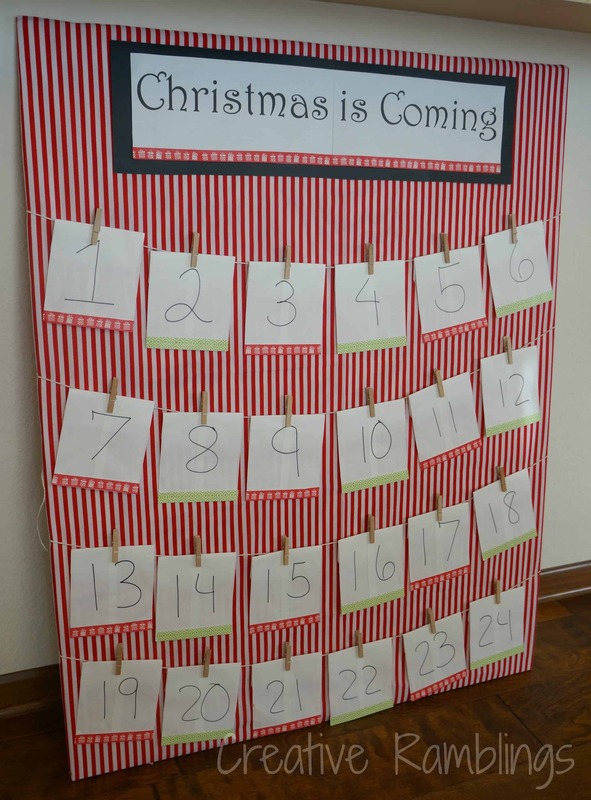 Do you use an Advent or countdown calendar in your home? I’d love to hear how you do it. Such a wonderful idea. I’m going to pin this just for ideas of things to do with the kids! I’m not sure I will actually make the countdown calendar itself, but there’s always hoping I find the time to do so! Doing the activities is the best part, have fun Marie. Thanks for visiting. 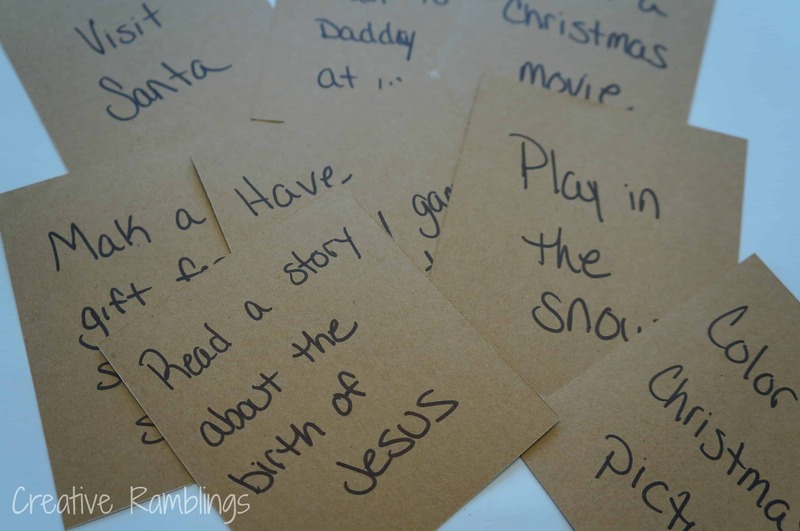 I love the idea of doing fun activities together instead of giving candy and presents, time is so much more important. 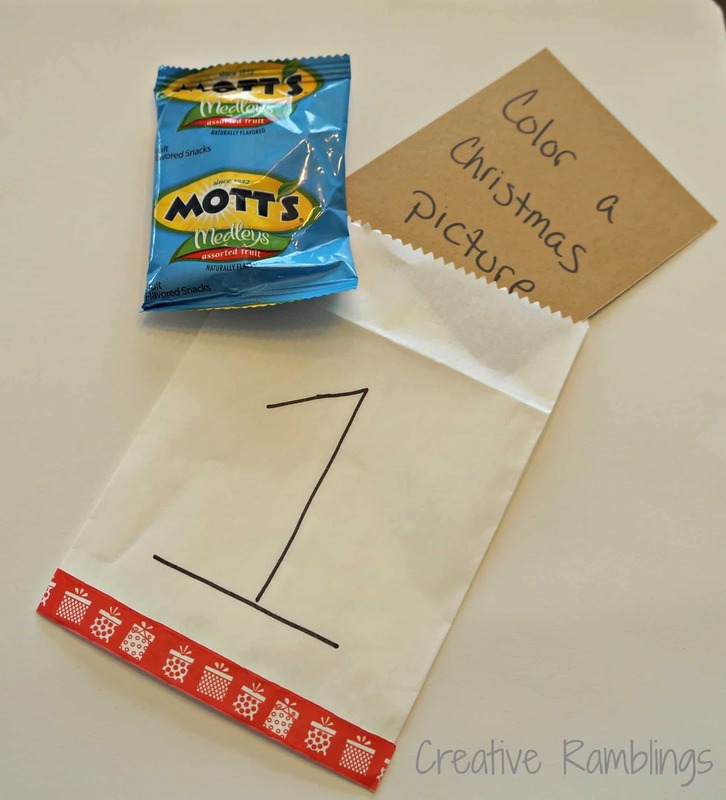 I did something similar for a Thanksgiving/November advent calendar.Thanks for sharing on the weekend re-Treat link party! Thanks Teresa, we’re having lots of fun with it.